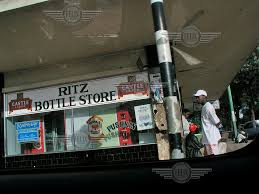 BULAWAYO businessman, Mr Bekithemba Moyo, who used to run Ritz Bottle Store which was very popular in the city, has died. Mr Moyo (60) who had kidney complications and was on dialysis for several years, suffered a heart failure during treatment on Thursday morning. His daughter Mrs Sibongile Mpofu confirmed her father’s death yesterday saying the family had lost a pillar of strength. “My father was on dialysis for the past eight years and his health had greatly improved. He collapsed and died on Thursday while he was going through dialysis. We’re devastated as a family because we have lost a great man who was our pillar of strength. “He loved everybody and never looked down upon people. He had a warm heart and took care of the whole family including children left by his late brothers. His death is a huge loss to the family and will change our lives forever,” said Mrs Mpofu. Mr Moyo’s wife Mrs Nondlela Moyo said she had not only lost a husband but a friend who was always there for her. “He was a great husband and a friend with so much love. I still can’t believe he’s gone. He had a good heart and took care of everybody in the family. “I remember at one point we were paying school fees for 14 children, including those left behind by his late brothers. I’m still shocked by his death and it will be hard for me to move on because he was a good man who was always in a jovial mood,” said Mrs Moyo. She said her husband, who was popularly known by friends as Bro T or Manotsha was a man of the people had a warm heart. She said Mr Moyo celebrated his 60th birthday in July. He was born in Tsholotsho and did his primary education at Mvundlana before doing his secondary education at Speciss College in Bulawayo. He joined the police force and left in 1983 when he started running Ritz Bottle Store, which became a successful business over the years. The bottle store was shut down in 2014 and Mr Moyo concentrated on his cattle ranching farm in Umguza. He is survived by his wife several children and grandchildren. His body will lie in state at his home in Mahatshula tonight and he will be buried tomorrow in Tsholotsho at 12 noon.